The role and responsibilities of ship management companies evolved significantly through the second half of the 20th century. However, the past decade has probably seen the greatest challenges, and the next decade will test ship managers more than ever. Digital disruption will impact all maritime businesses, but none more so than ship managers because they will need to embrace change in technical management, in a dynamic regulatory environment, while upskilling all levels of human resources, and continuing to provide value for customers. The Lloyd’s List webinar which took place in August 23rd looked at the challenges facing ship managers and assessed how the sector will evolve. How will next-generation digital technology empower ship managers? How will regulation passed to protect the environment place greater pressure on managers, and what changes will the sector need to take on board? What skills will managers need to have in future, and how will the commercial relationship between ship manager and ship owner develop? Listen on demand now to discover the future of ship management. Lloyd's is the registered trademark of the Society incorporated by the Lloyd's Act 1871 by the name of Lloyd's. In 1995, Frank joined Pacific Basin Bulk Shipping as Operations Director. After that he became the CEO of Rydex, a company specializing in maritime communications. After that Frank joined Sperry Marine as a Vice President. In September 1999 Frank became COO of Globe Wireless LLC. In 2003 Frank was appointed CEO, President and a member of the Board. In 2011 Frank joined Inmarsat as the Director GX Maritime, and in December 2011 he was appointed the President of the Maritime business unit. 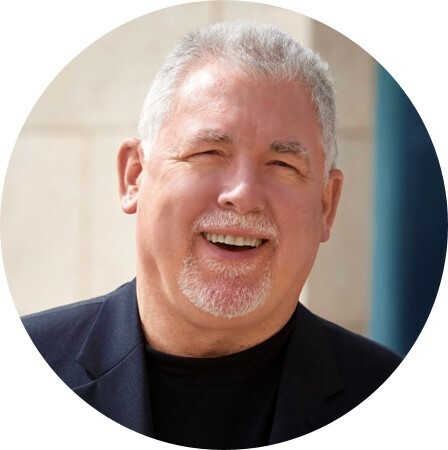 In September 2015, Frank Coles joined Transas as Chief Executive Officer and member of the Board of Directors. After Transas acquisition by Wärtsilä in May 2018, Frank Coles became a President of Transas Group, Wärtsilä Voyage Solutions. Esben Poulsson is Executive Chairman of ENESEL PTE. LTD., a Singapore based ship owning entity, of a fleet of large container vessels all under the Singapore Flag. He has worked in the maritime industry for over 45 years and has held a variety of senior management positions in Hong Kong, London, Copenhagen and Singapore. He is also a Non-Executive Director of X-Press Feeders Ltd., of Hafnia Tankers Pte. Ltd., of Nordic Shipholding A/S and of Avra International Pte. Ltd. He is non-executive Chairman of Cambiaso Risso Asia Pte. Ltd. and serves as Senior Advisor to Straits Tankers Pte. Ltd. He also serves on the Board of the Maritime & Port Authority of Singapore (MPA). He is President of the Singapore Shipping Association and is an Advisory Panel Member of the Singapore Maritime Foundation. He is also Chairman of the London-based International Chamber of Shipping, which represents about 80% of the world fleet. Pierre Cremers was born in Belgium in 1949. He graduated from the Gent University in 1973 with a degree in Naval Architecture and Marine Engineering and obtained a post graduate university degree of Business Administration. After working 5 years in the design department of a Belgian Shipyard - and 5 years as technical manager of a Belgian ship management company - he joined Anglo-Eastern Group of Companies in 1985. From then onwards, there was no looking back with a MBO, few mergers and acquisitions, he has built the company to one of the leading ship management companies as of today. He presently holds the function of Executive Chairman. Vikas has over 20 years of experience in business development, commercial, technical and operational functions of the maritime industry. His specialties include maritime asset management, lifetime ship cost cycle forecast and providing asset management advice to owners, banks, shipping funds and financial institutions. He earned his MBA, Finance in 2012 from Hong Kong University of Science and Technology. An avid trainer and group coach, accredited by International Coach Federation (ICF), Vikas leads the award-winning safety leadership programme at Fleet. He was awarded ‘Outstanding New Trainer’ by Hong Kong Management Association in May 2013.